Bikes Belong has selected Joan Harrold to be our Marketing & Communications Coordinator. In this new position, Joan is helping publicize Bikes Belongs work, promote bicycling, and develop our new campaign to recruit bicycling supporters. 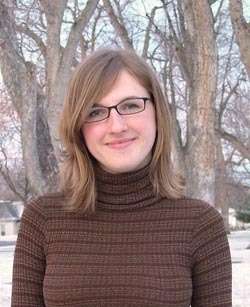 Harrold has a strong background in writing, web development, and project management experience. She came to Bikes Belong from the Girl Scouts of Colorado, where she served as Communications and Website Director for nearly three years. Prior to moving to Colorado, Harrold earned bachelors and masters degrees in communications from Ohio State University. Harrold is a casual cyclist whose fresh perspective will be helpful as we develop a new outreach campaign to appeal to the general public. She enjoys riding local trails on weekends with her husband. You can email Joan at joan@bikesbelong.org.